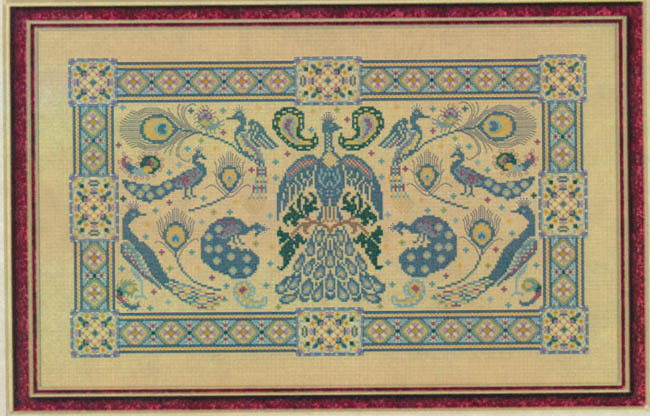 Stunning Peacock sampler with beautiful geometric border. Count: 258 x 150. Because of specialty stitches not suited for Aida cloth.